I have really never thought about leaving the one place I've lived since birth. But after some emotional life changing events that occurred (the passing of my mom, her only sister and finally ended a relationship that no longer made me happy); it was time for a change. I decided my time living in Michigan would soon be coming to an end and a new chapter of my life would soon begin....in a new state. So, without much thought I put in my 2-week notice with my employer, hired a moving company, spent some much needed time with people that was near and dear to me and on this very day 10 years ago, I said goodbye to Michigan and headed 75 north to.....Atlanta, GA and this is where a new chapter of my life would begin. I had so much going on in my life in 2004 that I promised that when I left Michigan, I would never return back there...umm yeah, I know you're saying...."but you were just there" well a girl is entitled to change her mind, right? Didn't your parents tell you to never say never? lol. But seriously, I had to do some major healing before I could even think about going back to Michigan. My first visit back since leaving was in 2009. To date, moving to Georgia was one of the best decisions I made. Of course, it was an adjustment and I cried for at least 30 nights straights...literally. A few of those nights, I was even contemplating moving back to Michigan and not even telling my family, but I'm glad I stuck it out and gave this state a chance. 5. I was able to see what country living is like...very quiet! 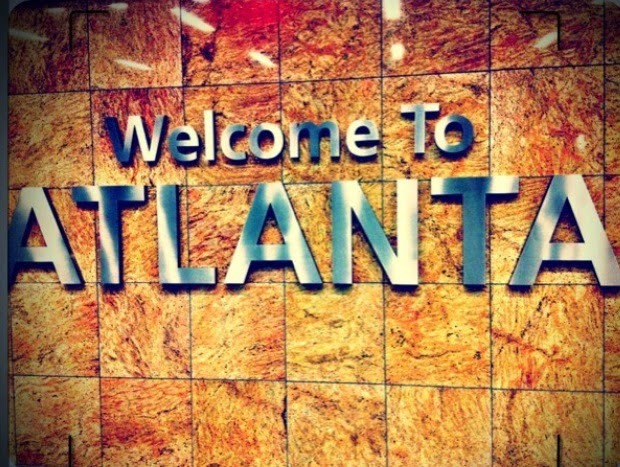 Here's to 10 more years of living in the ATL....or maybe not....there may be a new state on my radar? Stay tuned. Hi! I've been thinking about leaving Detroit and moving south for a long time. Georgia is on the top of my list. My mom passed last month and I just wanted to up and go, but I have younger sibs that I don't want to leave. On the other hand, I have my own relationship and little people, and while it would take a lot to move us down there I'm really considering making moves within the next yr and a half. Plus, I'm seeing that Georgia is an awesome place for bloggers!